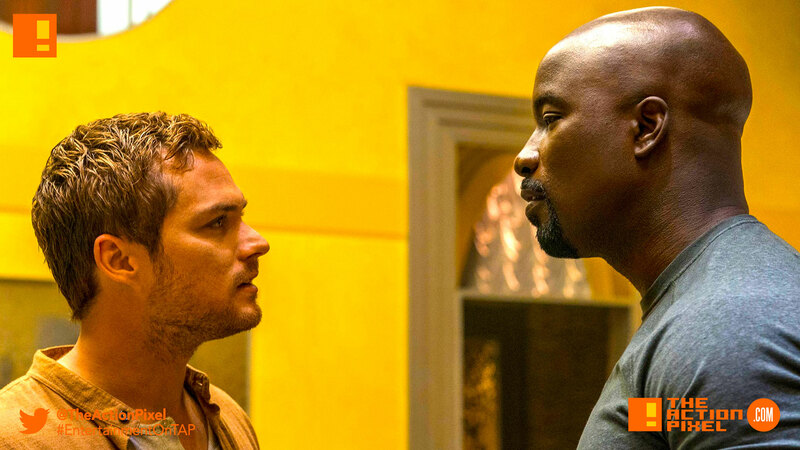 Marvel + Netflix's "Iron Fist" and "Luke Cage" get cancelled. What now? After mentioning the cancellation of the Marvel and Netflix’s Iron Fist a few days ago after just 2 seasons, it seems another one bites the dust as news of Luke Cage is also cancelled. Now this seems like all doom and gloom, sure. But apart from Luke Cage’s quite positive post after the news broke, it may be indicative of certain moves that are happening behind the scenes, all not entirely bad. Here’s what we think may be afoot. Private Investigation billing meets superheroism. This was the type of system Luke Cage came up with and it is genius for doing some good and making a living. Throw in Iron Fist, Colleen Wing and Misty Knight, you get Heroes for Hire. And seeing that Colleen Wing and Misty Knight already exist in this Netflix nexus of the Marvel Universe, starting a new series hopefully consolidating the power of Luke Cage and Iron Fist’s audience could spell for better luck and fandom amongst TV series and comics fans alike. This, however, ignores the fact that Season 2 for both heroes left a very open-ended type of narrative that teased a coming third season. So either Marvel is keeping this in the tuck, or fans responses were not favourable enough to warrant keeping the series alive. Disney’s goal of erecting the mother of all streaming platforms is not foreign news to anyone. They own Star Wars, 20th Century Fox and Marvel, which in themselves are huge umbrellas with a plethora of popular franchises and IPs. As such, the cancelling of Luke Cage and Iron Fist maybe Disney calling home its entertainment probes back to the mothership. In essence, this could possibly mean that Disney’s Streaming service is well underway and that the 3rd season for both series may be revisited at a later date… or we may be back to point 1, except Heroes for Hire happens on Disney’s platform as opposed to Netflix. If this is the move, however, we can expect more Marvel + Disney cancellations, including Daredevil and Jessica Jones. The sadder reasons for the recent calculations would be a ratings thing. To be fair, this was our first guess when Iron Fist got the severance blow. But Luke Cage has been more consistent in terms of narrative and representation. Not to mention Luke Cage had a stronger season 2 than I felt Jessica Jones had in comparison, so this cancellation led us to believe what was happening was more in line with our point one and/or two predictions. Nevertheless, this is a business, and if Marvel and Disney thought things were not worth the cost, they’d likely dump it. But of course this does not explain Agents Of SHIELD long run, but who are we to judge.